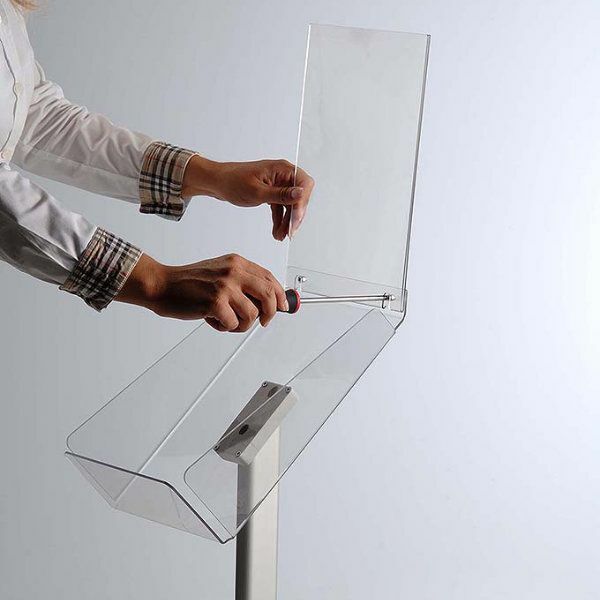 The main aim of creating a literature is to increase brand awareness amongst competition highlighting unique product propositions, current promotions, an upcoming event and many others depending on your marketing plans. 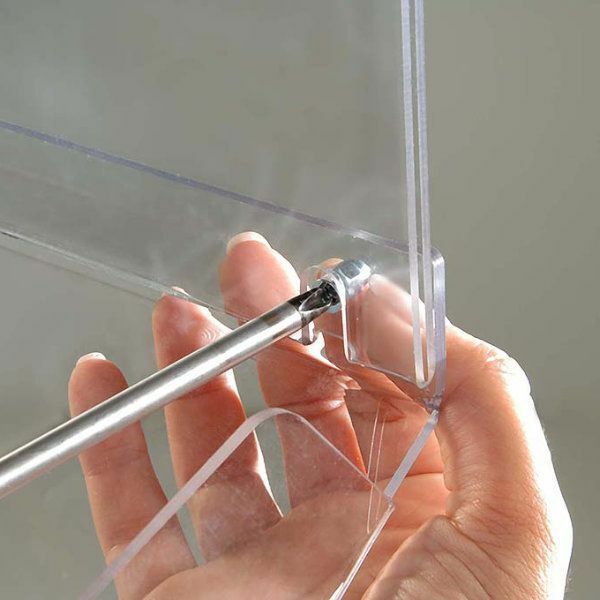 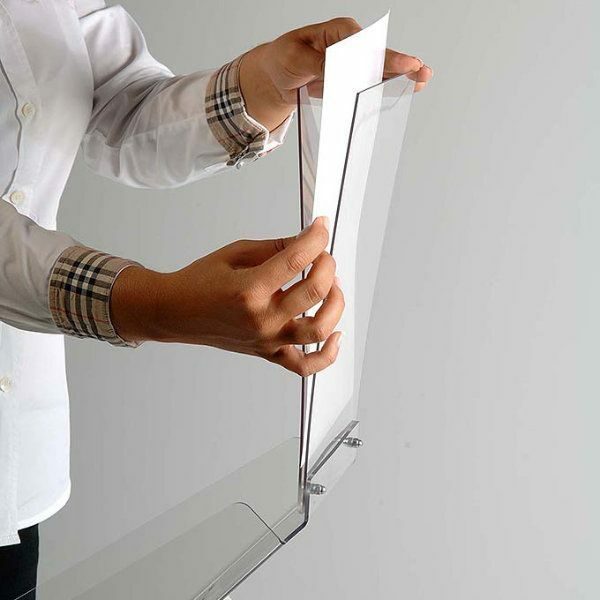 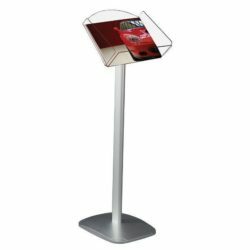 That is why these literature holders are designed with a magazine pocket and a clear acrylic header to deliver as much information as possible about your business in an organized, presentable yet stylish way. 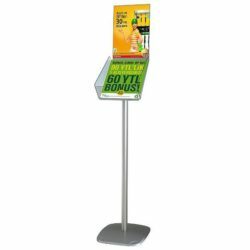 You can benefit from the top slot creating additional advertisement area to display brand logo, any messages, or headline advertisements. What’s more, these magazine displays are the most economical way to showcase printed materials These directory displays hold any 8-1/2″w x 11″h publications in portrait position. 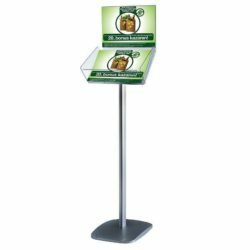 These portrait literature holders have a 3″ deep pocket for displaying a large stack of printed materials while saving on floor space. 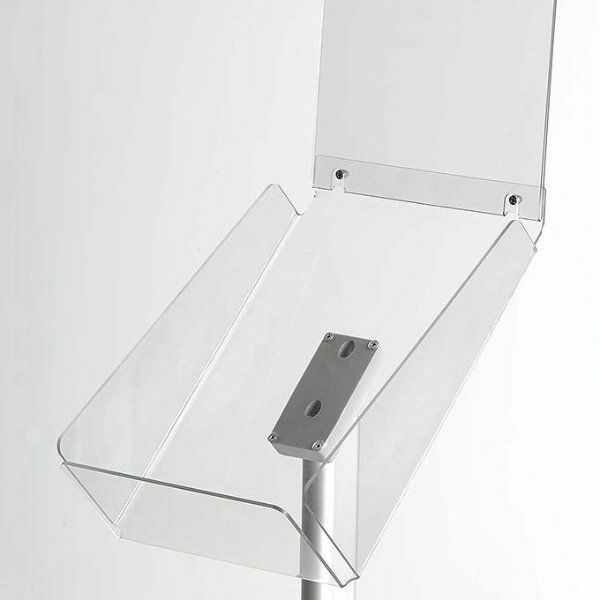 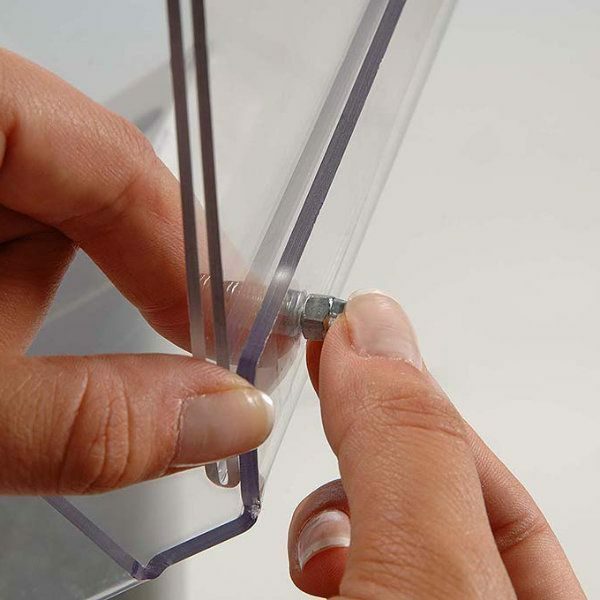 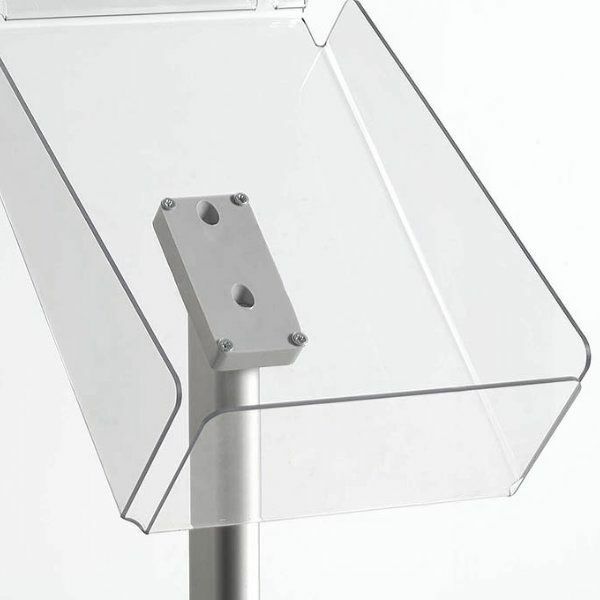 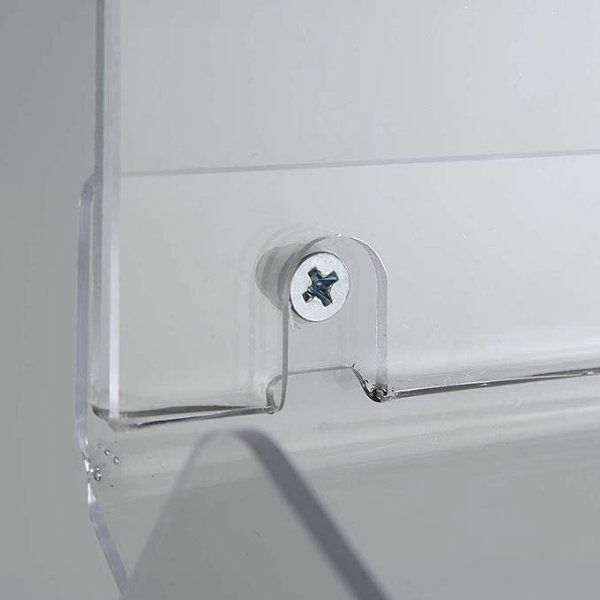 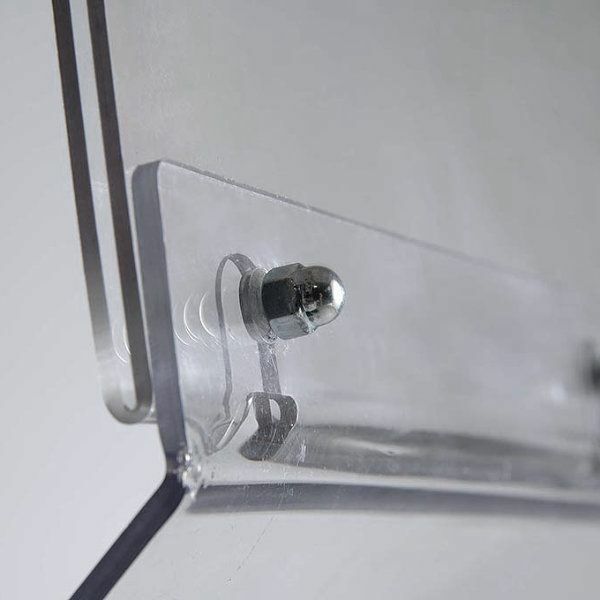 We supply the necessary hardware for assembly with the purchase of these magazine stands. 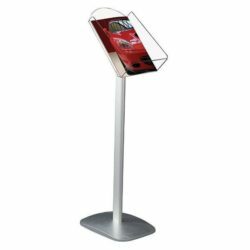 These magazine posts have a metalic silver powdercoated heavy stable base making them great solution for high traffic places such as lobbies, trade shows, shopping malls, restaurants and car dealerships. 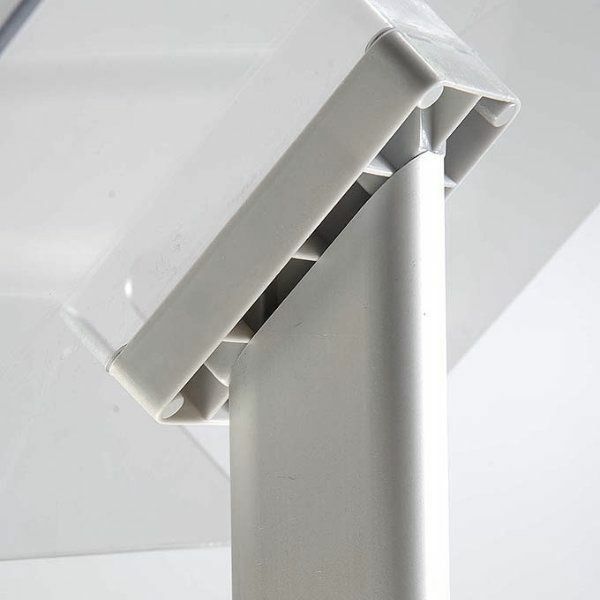 Not surprisingly, you can make the right impression on the client with these sophisticated aluminum posts.